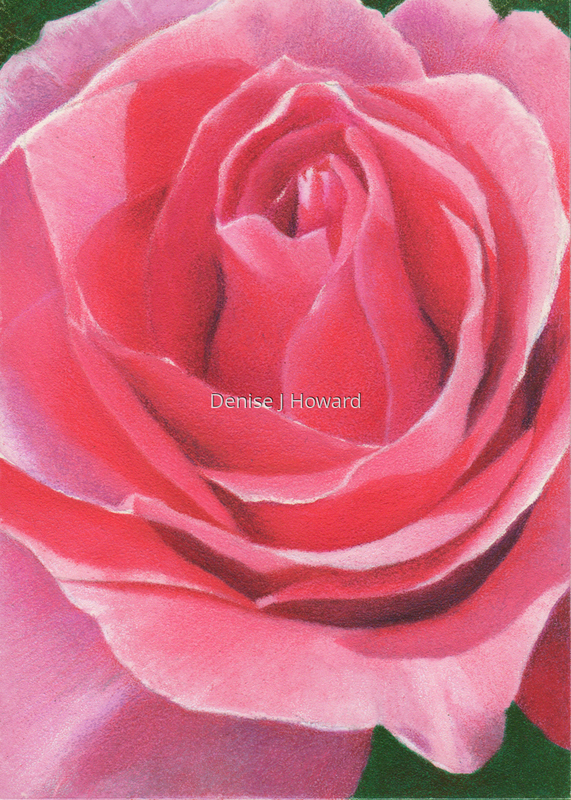 A small study of the light, shadows and shapes of a perfect pink rose. Wax pastels and colored pencil on Pastelbord. 7" x 5"8.5" x 6"